Trent Alexander-Arnold has been ruled out for a month with a knee injury, having played through the pain during Liverpool’s 1-0 win at Brighton on Saturday. The right-back pulled up after stepping awkwardly on the ball during warmup at the Amex, but was given the all-clear by medical staff to start regardless. He visibly struggled in the opening stages, as Liverpool looked to limit his time on the ball and James Milner kept himself prepared on the touchline, with Alexander-Arnold in regular talks with a physio. But he lasted the 90 minutes, and while it initially looked to have paid off for Jurgen Klopp, the 20-year-old is now the latest defender to be sidelined—having just returned from a foot injury. According to the Times, Alexander-Arnold has suffered a “tweak of the ligaments” which is expected to keep him out for up to a month. He joins Joe Gomez, Dejan Lovren, Adam Lallana, Alex Oxlade-Chamberlain and Rhian Brewster on the sidelines, while Gini Wijnaldum is also a doubt with a minor problem. And with Nathaniel Clyne loaned out to Bournemouth earlier this month, Milner can now expect to start at right-back. 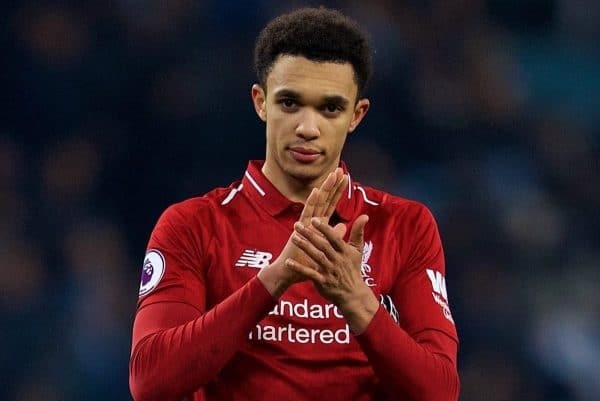 Liverpool’s next game is against Crystal Palace at Anfield on Saturday, with Alexander-Arnold’s current return date likely to see him back in contention for the Champions League last-16 first leg against Bayern Munich on February 19. The youngster could, therefore, miss the next four games: Palace (H), Leicester (H), West Ham (A) and Bournemouth (H). 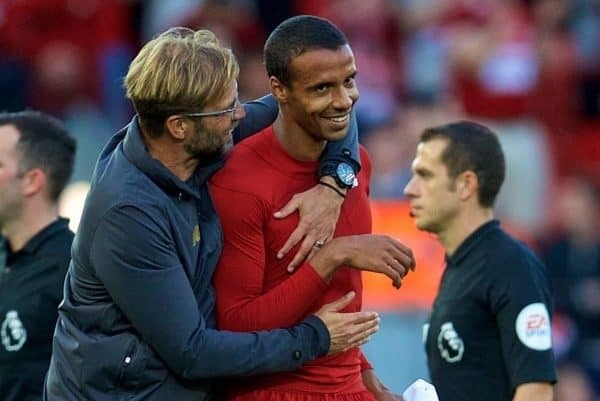 Fortunately for Klopp, Joel Matip has now returned from a broken collarbone and was an unused substitute at Brighton, which gives the manager another option at centre-back. This could, then, see Fabinho moonlight in another role this season, with the 25-year-old midfielder capable of operating at right-back. Academy talent Rafa Camacho, also on the bench in East Sussex, is another candidate, as is Ki-Jana Hoever.